College is expensive and not just because of the tuition. Everything from food to books is pricey. Since college students are notorious for not having much money, saving is the best option. How can you save money without starving to death? 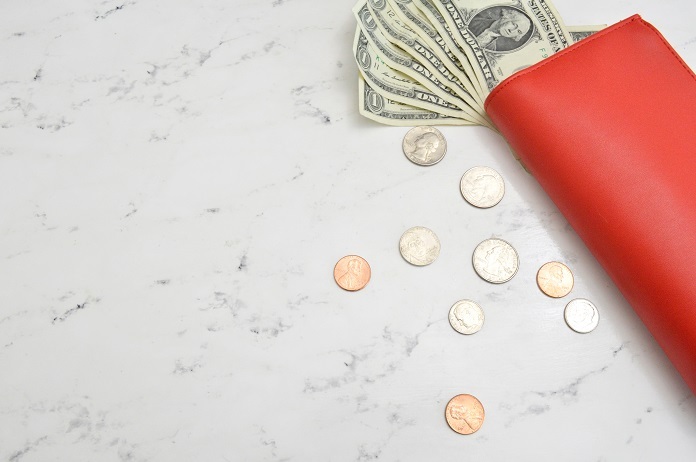 Here are ten methods of keeping cash in your pocket and save money as a college student. A realistic budget will keep your feet firmly on the ground. For many college students, the envelope method works very well. Write a monthly expense on each envelope and when you get your money from a paycheck or parents, divide the money between the envelopes to ensure you have enough to pay the bills. When an envelope is empty, that is it for the month. Cigarettes and alcohol can add up very quickly, so cut out your expensive habits. You can still hang out and have fun without spending a lot of money on drinks and smokes. Rent can take a big chunk out of your monthly budget, so why not take on a roommate or two? Splitting the rent between several people is the perfect way to cut down on costs. It also means shared responsibility for maintaining the house or apartment. Thrift stores are packed with name brand clothing, much of which is barely used. You can buy designer jeans for just a few dollars and use the money you save for paying the bills. No one even needs to know that you did not pay top dollar for your clothes. The same goes for textbooks. You can buy used ones online for less than half the price of brand new textbooks. Eating out all the time is not just bad for your wallet; it can also be pretty bad for your health. You do not even need a full kitchen to eat well. Many healthy, cheap meals can be prepared with nothing more than a kettle and a microwave. Free activities on campus or in local venues are a great way to stay entertained without spending a dime. Watch for deals like $2 Tuesdays at the theater and clip coupons for events to save on things you really want to do. You will quickly become quite the expert at finding great ways to spend your free time, without spending money. Many places will offer discounts to students, so take full advantage of the savings. Even if there is no obvious discount, you can always ask. You might be pleasantly surprised. Keep your credit card tucked away for a rainy day and pay all your expenses in cash. While cash might seem impractical sometimes, it will ensure that you do not fall into the common trap of going overboard on credit. Add that debt to your student loans and you will be working to pay things off for decades. It is best to just avoid credit when possible. You will always have plenty to read for free if you sign up with the library. Some libraries even offer movies, music and textbooks, so you can really make good use of the borrowing program. It may seem silly, but water is the best way to hydrate your body anyway. You will save quite a bit on sodas and coffee if you stick only to water. People who stay hydrated are also more alert, which means you will do better in your studies. Saving money is a rite of passage for college students, but you do not have to suffer. Learning to adjust your lifestyle a little and to look for cheaper alternatives to your usual activities can result in big savings.